The king fell, and in terror an army faltered before the foe that had slayed him. Yet even as men ran, the daughter he’d died protecting took up his shield. Tears froze in chill night. 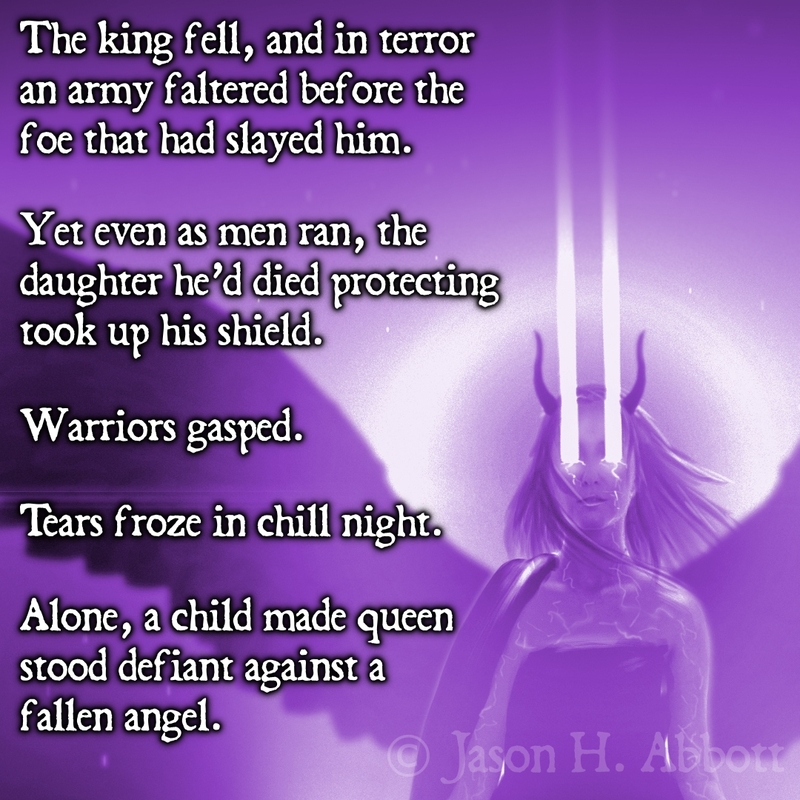 Alone, a child made queen stood defiant against a fallen angel.